Yesterday's salad was just that. I have a really hard time eating leftover salmon. I love it when it's freshly cooked, but for some reason eating cold or reheated just doesn't do it for me. However, given the lack of other options in my refrigerator, I was left with no choice but to use it as the protein on my salad. I totally won on this one! Also, I am typically pretty adamant that you make your own salad dressing because it's cheap and that way you can make sure that you are eating any crappy oils. However, I have been obsessed with Tessemae's Creamy Ranch dressing for many, many months now. It's Whole30 approved which means that not only was it impossible to find in the store in January, but also that it's made with good oils and it's dairy-free. One thing that it is not, is cheap. So I still advocate for making your own dressing, but this will do in a pinch. Chop the romaine and add to a plate. Cut up the apple into cubes and add to the plate. Slice the avocado in it's skin lengthwise and then across to create cubes, scoop out of skin with a spoon and add to plate. Top with crumbled salmon. Add dressing and additional toppings. Wild-caught salmon is my favorite way to get my omega-3s in as well as tons of other vitamins and nutrients that are hard to come by from other sources (B vitamins, zinc, selenium, iodine, vitamin A, and more). A lot of people supplement with fish oil, which can be ok for the short term, but I've read that there is no benefit of supplementing in high doses beyond 6 months. I couldn't find any information about how long of a break you should take, but it's something worth considering if you supplement with fish oil. Also, be aware of what product you are using, most fish oil supplements are low-quality and not sourced sustainably. If I had to choose an alternate way to get omega-3s I would say to use Vital Proteins Marine Collagen as a protein supplement instead of fish oil pills. I can't find information about how much EPA and DHA (omega-3s) are in it, but since it is made from marine sources of collagen (protein) I can only assume that there is some in there. It would be a good additional protein source if you don't eat a lot of wild-caught fish. 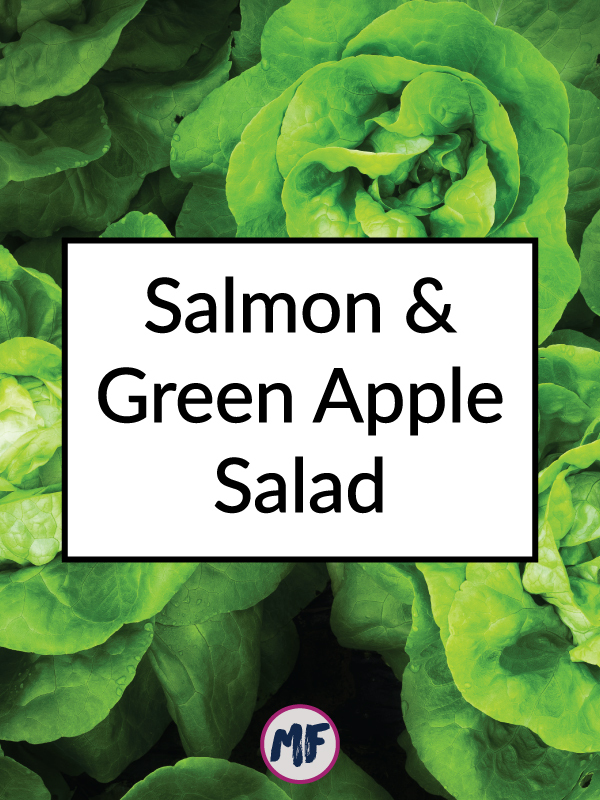 What's your favorite salad ingredient combo?